Doing a 365 photography project, you are bound to have a day spent in airports. 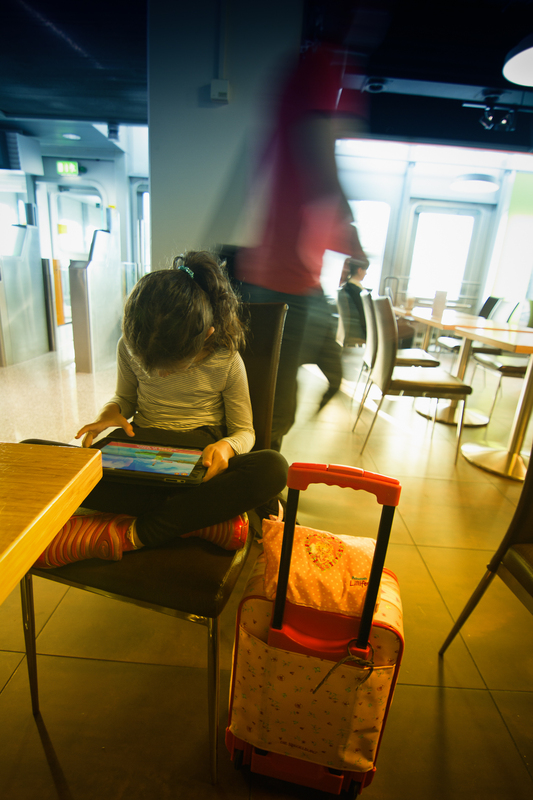 These days we find ourselves in transit so often and our children become expert travelers at such a young age. I still remember my first flight as a child (from Lebanon to Cyprus) and how totally exciting it was for me to get on that flying machine that was almost too magical to comprehend. I still remember so many little details and the flights after that were counted on a diary page proudly as a great achievement in the world of adventures and quests. Not for my daughter, she flies too much to keep count of her journeys, too often for it to be super special, and too easily available for it to be an achievement. Another strange onset of the modern world we are creating!